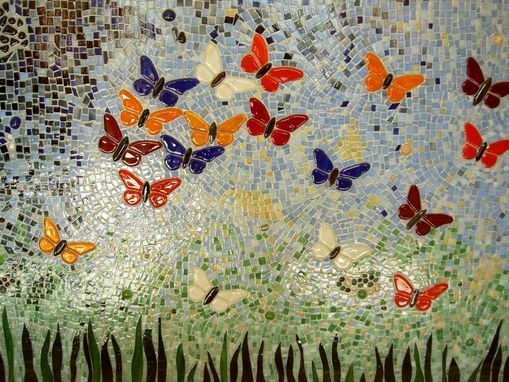 This Butterfly Mosaic has more then 10'000 glass pieces. 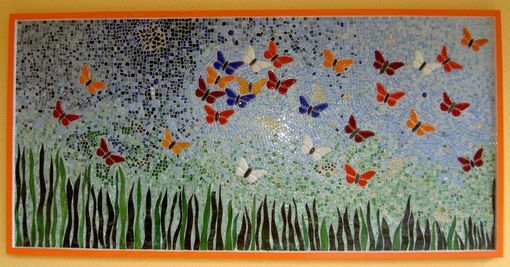 The butterflies were rounded in the kiln to make them look smoother. 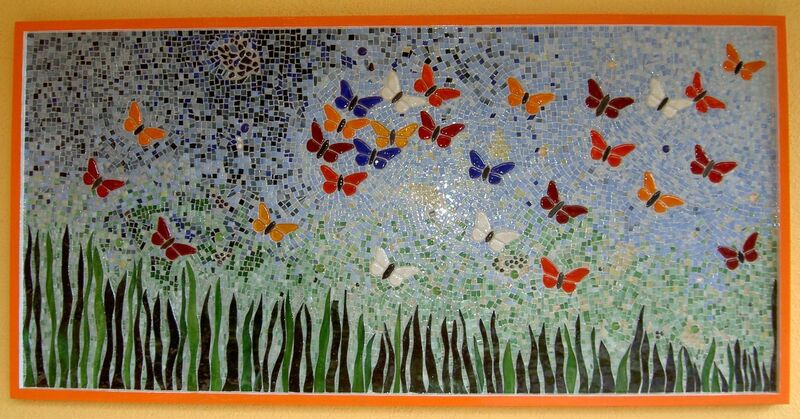 The background has the distinction that almost all pieces are the same size. It took one month to complete.